Don Hellmann, former Assistant Director for Legislative and Congressional Affairs for the National Park Service. Don Hellmann is the former Assistant Director for Legislative and Congressional Affairs for the National Park Service. Don ended his 40-year career working with Congress at the beginning of 2017, which included the last 22 years with the National Park Service. 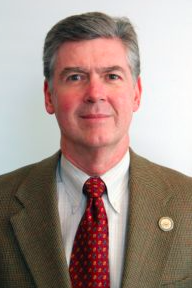 Don joined the National Park Service in 1994 and was responsible for the development, coordination, and implementation of its legislative affairs program. Prior to his position with the National Park Service, Don was Vice President for Conservation at The Wilderness Society, where he directed the conservation advocacy program before Congress and coordinated the litigation agenda of the organization. Before assuming this position, Don served as Legislative Counsel for the society. Don joined The Wilderness Society’s staff in 1988. Don also worked on Capitol Hill as Legislative Counsel to Rep. Tony Coelho (D) of California from 1985 to 1988 and in several positions, including as Legislative Assistant, to Senator Walter D. Huddleston (D) from his home state of Kentucky from 1977 to 1985. He has a J.D. from the University of Baltimore and is a member of the District of Columbia Bar. Don is currently on the Executive Council of the Coalition to Protect America’s National Parks and on the Board of the Manassas Battlefield Trust. LLO: You have seen the federal legislative process from more angles than most – as a congressional staff member, an advocate representing a nonprofit organization, and as Assistant Director for Legislative and Congressional Affairs for the NPS. Based on these rich experiences, what insights can you give into the creation of park and conservation policy? What are the keys to successful advocacy, for example? DH:The process of creating laws can seem very complex to those not involved in it on a daily basis. Once you understand how Congress crafts public policy, however, the procedure is not that complicated. When I first started on Capitol Hill someone told me that “the issues don’t change that much from one Congress to the next. Congress just looks at the issues from different angles.” I found this was true then and it continues to be true now. The NPS just turned 100 years old. And really, the same principles that drove the protection of parks and public lands still exist today. For example, over time, the legislation establishing individual units NPS exhibits a remarkable degree of consistency. Of course, there is some variation, in that the language establishing a National Seashore might be slightly different versus the language establishing a National Historical Park, but underlying each bill is a consistency in the specific sections found in each bill. This consistency is not all that surprising as Congress codified its intent that park units be recognized as part of the same National Park System in the 1970s when Congress passed the General Authorities Act. Even though the units have individual mandates, they share a common mission in the NPS system- to present the story of America for present and future generations. LLO: How did the federal legislative process change over the course of your career? DH: From the mid-1980s to my retirement in 2016, the mechanics of how Congress worked on park laws remained more or less the same. We worked with committees and individual members of Congress, had hearings on the pending bills, and hammered out the language of the bills that eventually became laws. The thing that changed most was that members of Congress from both parties no longer fought to get on the committees that dealt with parks and public lands. The passion and interest for parks and public lands is no longer there. The environmental stars found in previous Congresses, like Rep. Morris Udall or Sen. Gaylord Nelson, by and large, are harder to find in Congress these days. Back in the 1970s and 1980s, the interest in environmental issues was far greater. It began in the 1960s, with Sen. Nelson and others pushing Presidents Kennedy and Johnson to make the environment a priority. It continued with President Carter. The public wanted to protect air, water, and land and Congress responded. Members of Congress could win points with constituents by working on these issues. This changed under President Reagan and the importance of the environment has continued to decline. These days, members may get points with individual communities for creating a National Historic Site, but beyond that it is tough to get recognition beyond a specific community for sponsoring park legislation. Perhaps this is because many of the most well-known or outstanding natural sites have been protected. It is more difficult now to take action that is viewed as politically beneficial to a member’s constituents as a whole. LLO: How did a change in administration affect your work? DH: In general, Democratic administrations seem more interested in protecting the resources at specific sites, while Republicans want to promote usage of the sites. This potentially comes from the dual mandate of the NPS and different administrations wanting to please different constituencies. Of course, this isn’t always the case, as some Republican administrations have protected some wonderful resources that are part of the National Park System and I have seen some Democratic members push for specific uses, such as hunting, at individual park units. LLO: How did NPS legislative priorities changed over your career? DH: For a long time, NPS did not actually have an active legislative agenda. It largely responded to members of Congress and their priorities. In 1994, as part of the Vail Agenda, there was a recommendation made and adopted for NPS to have its own active legislative agenda instead of just responding to proposals introduced by members of Congress. Starting in 1995, shortly after my arrival at the agency, we began compiling a list of legislative proposals that the NPS would send to Congress. It quickly became clear to me why NPS did not have an active legislative agenda as the approval process turned out to be quite difficult. The proposed list and the accompanying draft bills had to be approved at many levels in NPS, the Department of the Interior, and in the Office of Management and Budget before any bills would be sent to Congress. And often the approvals had to come from individuals with little background in park legislation or policy, or from people exercising their power on a political level who had no interest in how the legislation would benefit the Park Service or individual parks or programs. As a result, the number of legislative proposals sent to Congress every two years was not that long a list because of all the required levels of review. The number of proposals sent to Congress varied from administration to administration, and, because the approval process was so difficult, we also worked with individual members of Congress to get our priorities introduced separately to avoid the delays caused by the never-ending review process in the department. LLO: How did you handle bills not supported by the agency? DH: Basically, there were two alternatives. First, we just outright opposed some bills and NPS would testify against the legislation. This was actually relatively rare. If a member of Congress knew we opposed the bill, the last thing they wanted to happen was to have NPS testify against it. So usually these bills never came up for a hearing. Second, we would try to meet with a member and his or her staff prior to a hearing being scheduled in order to get them to understand why we opposed the legislation. We explained that there were certain ways to draft park bills in accordance with our policies or programs, and that working around these established mechanisms could result in a bad precedent. We would try to get them to change their position or to change the language of the bill. I’m happy to say that we were usually successful in getting bad provisions of bills removed, or replaced by language that fit better with park management and precedents. LLO: Are there any especially memorable bills you would like to talk about? DH: There are three bills in particular that stand out during my career. The first was a big Omnibus bill at the end of the 104th Congress, Public Law 104-333. It was memorable first because of the timing; the GOP had just taken over the House for the first time in decades and they were intent on changing a number of ways NPS did its business. And at the same time, NPS was trying to address the future of the Presidio of San Francisco, which is now part of Golden Gate National Recreation Area (GGNRA). At the time, the Army had decided the area was surplus property. Former Rep. Phil Burton had included a provision in law in 1972 that declared the Presidio would be made part of GGNRA if it ever became surplus to the Army’s needs. However, the Republican Congress felt managing the vast real estate found at the Presidio was beyond the capability of NPS and they wanted an entity besides the NPS to manage the land. The Republicans accomplished this through the idea of a having a Presidio Trust manage the land that would work with the NPS on interpretation of the site, but would operate everything else independently. Now, it was memorable to me not because I thought the trust was a great idea, but because it came at this challenging time politically, and because it took hours and hours to hammer out the final bill. The Presidio bill became the vehicle by which dozens of other park and public land priorities became law when they were attached to the bill. Public Law 104-333 included 150 sections total, half of which involved the NPS – creating new park units, new Wild and Scenic Rivers, and many more provisions that benefitted NPS. The Park Service and the Clinton administration opposed five of those titles that were initially included in this omnibus bill, and we managed to get all five excised from the final bill. The second law that really stands out is the one that established the Rosie the Riveter / World War II Home Front National Historical Park, Public Law 106-352. This site honors the work of women and other civilians on the home front during the Second World War. The language of the law is similar to that found in other park laws; however, the hearing on this bill before the House Resources Committee was especially memorable. Three women, who had been ”Rosies,” testified in support of the bill at the hearing. One woman brought her granddaughter to see her testify. This Rosie had been a welder in Oakland and described the process of being lowered down in a ship with rope around her waist, welding for thirty seconds, then coming up for air, and then doing it again and again. The members of the committee were mesmerized when she spoke. She also passed her ID card to the members on the dais, and they treated it like a bar of gold. The impact of the Rosies’ testimony was obvious to all when, at its conclusion, the chairman of the committee turned to the bill’s sponsor, Rep. George Miller, and asked to be added as co-sponsor of the bill. Chairmen rarely did that because they wanted to appear impartial to members of their committees. The third law that stands out is Public Law 114-289, the National Park Service Centennial Act. It was the last bill I worked on before retiring. The third title of the bill was especially important to me as it put into law for the first time the education and interpretation mission of the National Park Service. In 1998, the science and research mission had finally been codified, and now we were able to do the same for the NPS education and interpretation mission, providing a solid underpinning for so much of what NPS does on a daily basis. This brought my career full circle, as I graduated from college with a degree in History and education and taught History and English for three years after I graduated. This law provided an appropriate bookend for my career. DH: From the Coalition’s standpoint, we are very disappointed so far with what the Trump Administration is doing to our National Parks. We were willing to give the benefit of the doubt and initially heard nice things from Secretary of the Interior Zinke – how he wanted to be another Teddy Roosevelt. We haven’t seen any evidence to support those words though; the only priority we have seen is for the extraction of energy resources from public lands. There is no consideration given to how these actions affect public lands (usually managed by BLM) or the adjoining National Park lands. The administration seems unconcerned about those potential impacts. Also, the extreme budget proposed by this administration is of great concern. We do not understand how cutting the budget by 13% will enable the NPS to manage the park units it already has under its authority. The administration also wants to eliminate 4,000 jobs at the Department of the Interior. And most importantly, there is nothing to indicate that resource protection is a priority with this administration. The Coalition is a watchdog, calling out actions adverse to National Parks. We keep hoping the administration changes its direction to supporting the national parks, but we do not hold out much hope that will happen based on its actions over the last year. Therefore, the coalition believes we need to concentrate on educating those in the department and among the general public. We have political appointees with no knowledge of the agencies they oversee. They do not know the history, the mission, the programs, and policies of our public land management agencies, including NPS. The general public and interest groups must continue to educate and advocate, which will hopefully lead to better decision-making. Remember laws Congress passed mandate much of what the agencies do in managing our public lands. Those mandates must be followed regardless of which administration is in office. April 2017 – Emily M. Bateson, coordinator for the Network for Landscape Conservation. She was previously Conservation Director at the Highstead Foundation and Coordinator of the New England Wildlands and Woodlands Initiative. February 2017 – Jackie M.M. Gonzales, an environmental historian with experience working in the nonprofit and public sector.